I bought this Feather AC DX in pearl to use for travel. I used it for a couple overnights, and once or twice at home. Obviously, it is not getting much use, so let's pass it on to someone who will use it more. The razor is in near mint condition. The blades (about 17 or 18 in the cartridge) are included in the price. The price also includes U.S. shipping; overseas is extra. 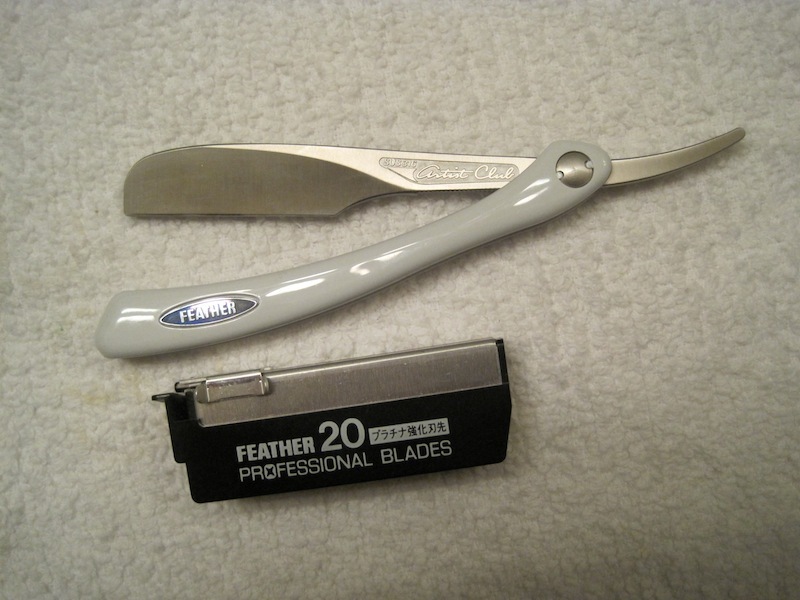 This is the best of the straight razors with replaceable blades, and it a glorious shaver, although you will have to be careful using these razors. Thanks. $150.